Hey! Hello! 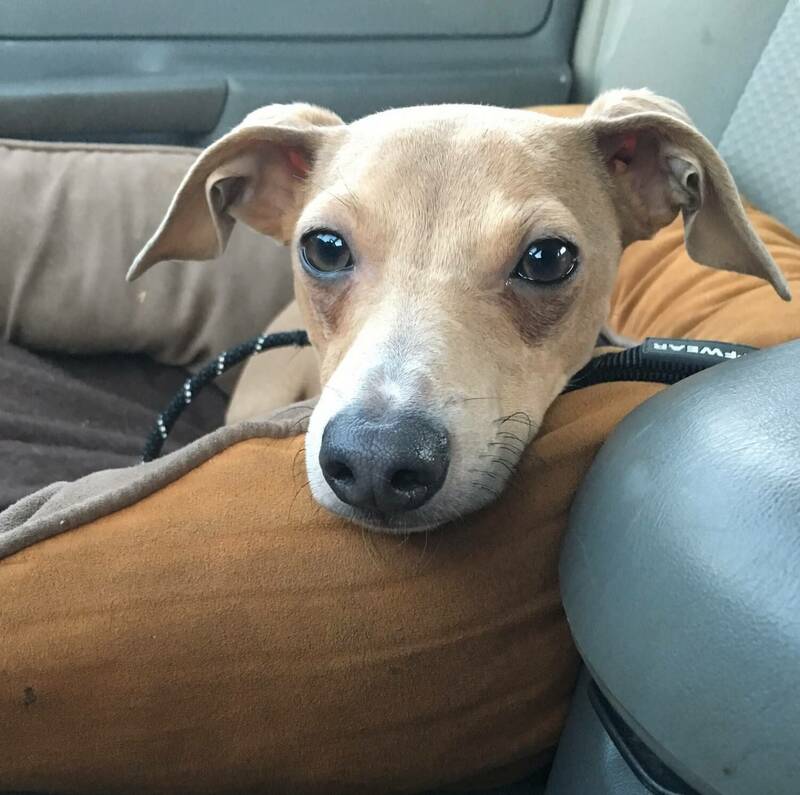 My name is Kevin and I am an energetic and stinkin’ adorable 9 month old Italian Greyhound. At 16 pounds, I am a little bit larger than most iggy’s, but everything else is exactly the same. Including those long legs that need some space and a nice yard in an owned home to run in. Did you know we can run up to 25 mph?! I am a puppy still and will definitely need to learn some basic manners, but I am extremely food motivated and a quick learner. I even already know “sit”! PUPPY CLASSES ARE MANDATORY FOR MY ADOPTION! I am always excited to meet new puppy friends and play my favorite chase games. In fact, I really need another playful dog in the home that can keep me company as we romp around the house. 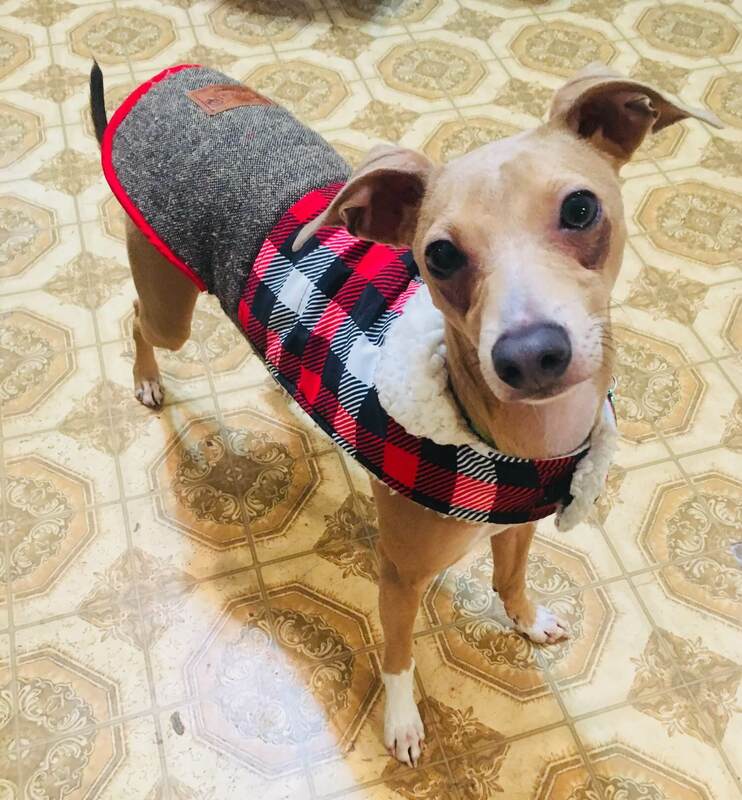 In that classic Iggy way, I can be a little timid around new people over 12 at first, but quickly come out my shell with the help of a few treats. Being a youngster, I am pretty interested in barking at kitties to try and get them to play, so I could probably be with a confident dog savvy cat. Of course after a long day of running around, it’s time to curl up in your lap under some nice warm blankies as we snuggle the night away. Spunky, hilarious, and cute, I am ready to play with you! I come to you micro-chipped, neutered, and vaccinated with an adoption fee of $450.